Get my book for FREE & Help Support an Indie Author! For the next few days, I'm participating in an Amazon promotional deal for one of my Children's eBooks (no print copies). 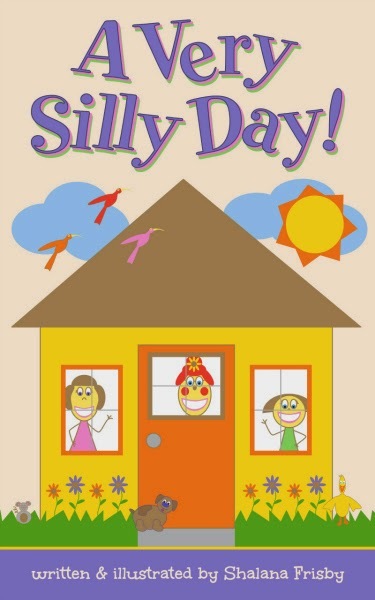 Get A Very Silly Day digital eBook for FREE! Yep, FREE! All you need is an Amazon account. You don't have to have an e-reader of any kind, just an Amazon account. You can download my digital children's book at no cost to you to read to your kiddos on your Kindle, laptop, tablet, smartphone or other device. Log into Amazon or create a new account and grab it. The eBook is all yours for nothin', nada... you get the idea. An uptight big sister and whimsical little sister just can’t get along on the way to grandma’s house. The little sister’s imagination makes for an interesting journey ending in a very silly day for both siblings and their grandma too. They all discover that being silly is for people of all ages, not just kids. This beginner reading book is recommended for ages 3-7. The colorful illustrations and rhyming story express themes about family relationships, learning to get along and the importance of using our imagination at any age. Please spread the word...hit the share buttons at the end of this post and let all your buddies know they can pick up this colorfully illustrated and well written kid's book for FREE this weekend. CLICK HERE FOR MY FREE CHILDREN'S E-BOOK!